We learned about watersheds, erosion and runoff and how they contribute to water quality. Our partners at MRBA brought along their watershed model and rainfall simulators for some great demonstrations. Then we rounded out the evening with some soil nutrient testing and tried to identify the land use of various soil samples. It was a great group of kids. They were very inquisitive and engaged. Interested in hosting us for a water quality education event? Contact us! For the 2018 legislative session, several FWC directors and members have been active in Montpelier. President Peter Benevento delivered testimony for the House Committee on Natural Resources, Fish & Wildlife. Several full and part time residence contributed as well. There are several bills being considered this session which we are hopeful will equated to improved water quality for Lake Carmi and other bodies of water throughout Vermont. Thanks to all those joining in the fight for water quality! For the 2019 legislative session, many members of the community in addition to the Franklin Watershed Committee attended the 2019 Clean Water Policy Forum. 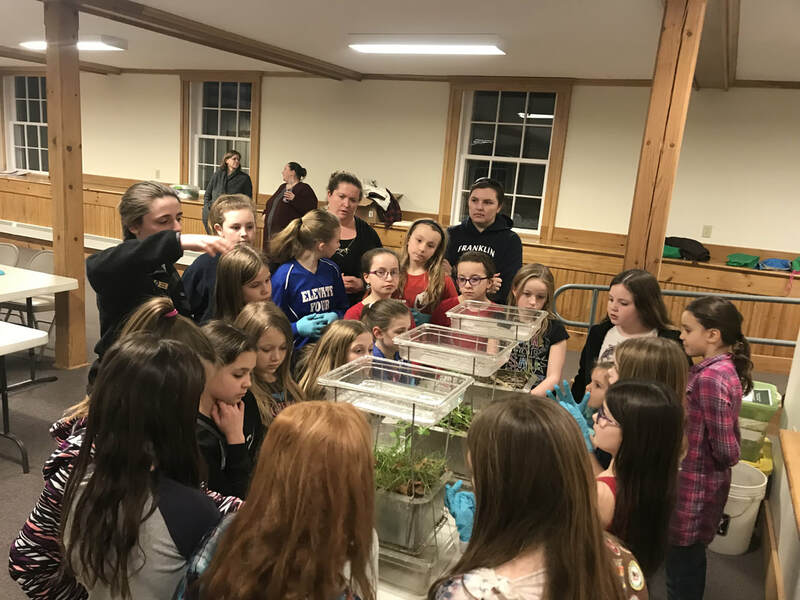 Click below for access to the 2019 Clean Water Funding materials we were presented by the Vermont Agency of Natural Resources. WikiWatershed- Learn more about watershed modeling and test your project ideas! It was a free webinar on Wikiwatershed, a freshwater stewardship tool. Dr. David Arscott, of Penn State University, will guided us through the use of this open access tool to simulate runoff and model & monitor our watershed. With this tool we can better understand how nutrient models work and run scenarios such as increased buffer widths, or adding a rain garden to every property, to explore ideas on what it will take to reach the nutrient goals for Lake Carmi. If you missed this great workshop but would like to learn more about wikiwatershed, use this recorded webinar to learn more about it.